The Rice Diet: Does It Help With Obesity? Developed in the 1930s by a German doctor named Walter Kempner, the Rice Diet is said to treat obesity and other weight-related problems and decrease the risk of heart disease, diabetes, high blood cholesterol and hypertension. But how so? The Rice Diet is a low-calorie way to help individuals lose weight and improve overall health. Divided into three main phases, the Rice Diet usually starts from as low as 800 calories per day to a gradual increase of 1,200 per day in the third (last) phase. In this whole-food diet, it will mostly include high-fiber vegetables, fruits, grains, and you will be required to cut down on calories, sodium, fat, sugar, as well as protein all at once. Also, avoid caffeine and alcohol. Phase 1 starts off with detoxing, where you will consume starches or whole grains (i.e. bread/brown rice), non-fat dairy (yogurt/cheese), vegetables, and fruits for about a week. No salt should be added to any of your food and your sodium intake should be kept to a minimum of 300 to 500mg daily. Then, move on to Phase 2 for the weight-loss stage and you may start to include lean protein like fish or eggs (occasionally) into your daily diet, until you have achieved your target weight. You can then venture onwards to Phase 3 to aid in maintaining your weight. Your sodium intake can be increased to between 500 and 1,000mg daily. 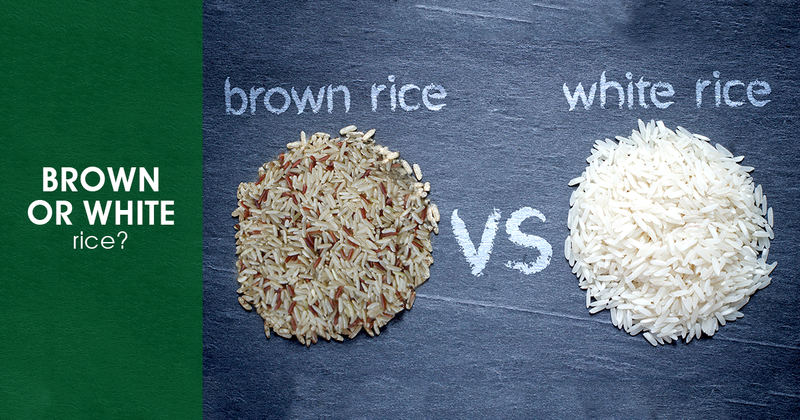 Brown or white rice? While the Rice Diet started off with white rice, whole grains like brown rice or quinoa (with no added salt or fat) make a better option as it is contains a larger amount of fiber and nutrients. Also, it is recommended that you get plenty of exercise and rest to maximise your calorie burn. 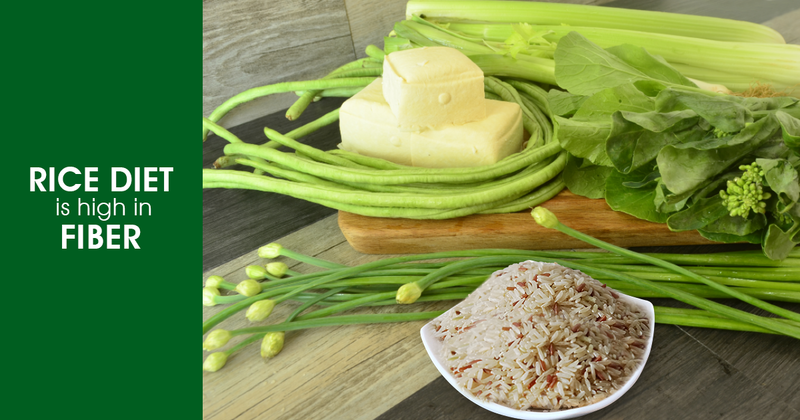 The Rice Diet is high in fiber, which can have you feel fuller, and help in lowering your blood cholesterol and the risk of getting heart disease. While it may be a proven short-term weight-loss plan to battle obesity, but it is not advised to be seen as a long-term programme as it may contain enough calories and protein for an average person and hence eventually lead to muscle loss. As such, are you ready to give it this weight-loss method a try yet? Think the healthy carbs in the Rice Diet could work better for you? 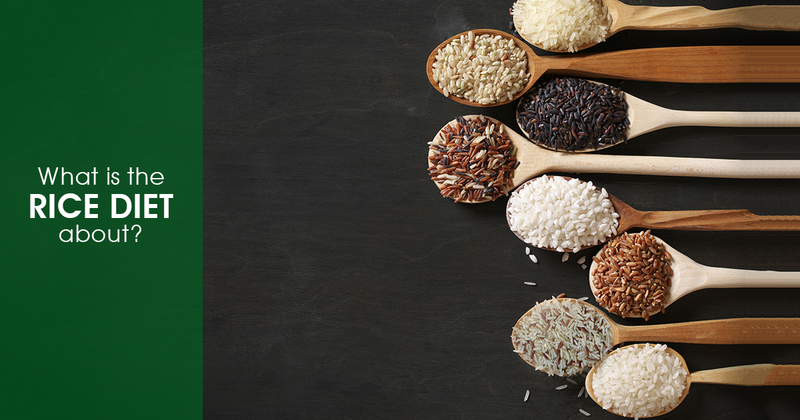 We’d love to hear your comments on the Rice Diet, so drop us a message or comment if you have or about to embark on one! Note: If you have a medical condition, please be advised to check with your doctor before you start on the Rice Diet.